Common Law Admission Test (CLAT) is a national level entrance exam organised rotationally by 18 NLUs (National Law University). It is conducted to grant admissions to LLB and LLM courses offered at various law universities in India. Nearly 50,000 candidates appear for the law entrance exam every year. The National University of Advanced Legal Studies (NUALS) Kochi will hold CLAT 2018. 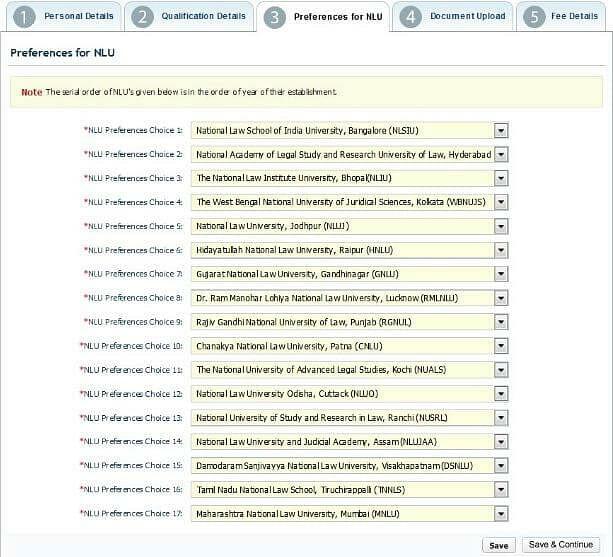 The National Law Universities (NLUs) decides the eligibility criteria for all its available courses. The institutes have elaborated different eligibility conditions as per the programs selected by candidate. CLAT Eligibility enlists details about nationality, age criteria, academic qualifications and marks required to apply for CLAT 2018. Candidates satisfying the eligibility criteria can proceed towards filling CLAT Application Form. It can be filled via online mode at clat.ac.in from January 01, 2018 onwards. For the academic session 2018-19, National University of Advanced Legal Studies (NUALS) Kochi will hold the Common Law Admission Test. The law entrance exam is scheduled for May 18, 2018. CLAT 2018 is a national level exam organised rotationally by 18 NLUs (National Law University) to grant admissions to LLB and LLM courses offered at various law universities in India. They must be below Twenty (20) Years of age as on July 01, 2018 in case of all Unreserved/NRIs/NRI Sponsored categories candidates. They must be below Twenty-Two (22) years of age as on July 01, 2018 in case of SC/ST/ OBC/Specially Abled Persons (SAP) category candidates. A minimum of 40% marks in case a candidate belongs to SC/ST Category. Candidates who are appearing in the qualifying examination in April/May 2018 are also eligible for appearing in CLAT 2018 examination. However, they will be required to submit an evidence of their successfully clearing the qualifying examination at the time of admission, failing which they will lose their right to be considered for admission. The result of qualifying examination (i.e., 10+2) shall be submitted by the candidate at the time of CLAT Admission Procedure, failing which they will be ineligible for admission to the course. (i) Higher marks in the section of legal aptitude in CLAT 2018. (ii) Candidate older in age will be preferred. There is no upper age limit for the candidates appearing in CLAT 2018 to pursue post-graduate programs Thus, candidates of all ages are eligible to give the examination. A minimum of 50% marks in case a candidate belongs to SC/ST Category. They must have passed/appeared in the final semester/final year examination of the qualifying examination on the date of their admission. In case, a candidate who has appeared in the qualifying examination, they must submit their final result of qualifying examination within the time frame prescribed by the respective University/Institute. Till then such candidates may be given provisional admission. (ii) Computerized draw of lots will be taken into consideration. Candidates aspiring the seats under the NRI quota must consider that the seats under NRI/NRI Sponsored Category in all the participating universities except WBNUJS, Kolkata, West Bengal, shall be filled by the concerned universities independently on the basis of CLAT merit. 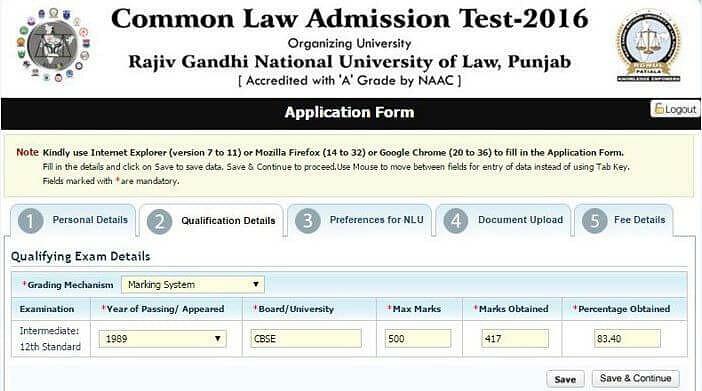 The admissions are not carried out through CLAT office. Candidates are advised to contact the concerned university directly for admission formalities, eligibility, documents required and other related queries for seeking admission under NRI/NRI sponsored category. There is a total of 17 seats for the candidates aspiring for admissions in the undergraduate courses whereas there are no seats available for post graduate program. CLAT Application Form 2018- How to Apply Online? The National University of Advanced Legal Studies (NUALS) Kochi will release CLAT Application Form in January 2018. The registration window will be of 3 months i.e. until March 2018. Candidates can register for CLAT in online mode only. 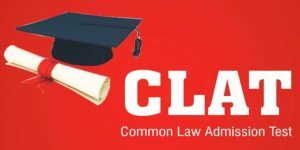 Before applying for CLAT 2018, candidates must be 10+2 graduate for LLB Program. For LLM Program, a candidate should have an LL.B or equivalent degree in order to apply for the law entrance exam. Candidates satisfying all the standards of CLAT Eligibility can register for CLAT Exam. The online application form can be accessed from CLAT Official Website i.e. clat.ac.in. CLAT Application Fee for General / OBC / SAP and other category candidates is INR 4000. Whereas, for SC/ST category candidates, the fee is INR 3500. After successful registration, one can download CLAT Admit Card from April 2018. The conducting body is expected to schedule CLAT 2018 on May 14, 2018. CLAT Registration at CAPS– All candidates are required to register via CLAT Application Processing System (CAPS) for CLAT. They need to provide details like candidate’s name, father and mother name, date of birth, email address, mobile number (10 digits). 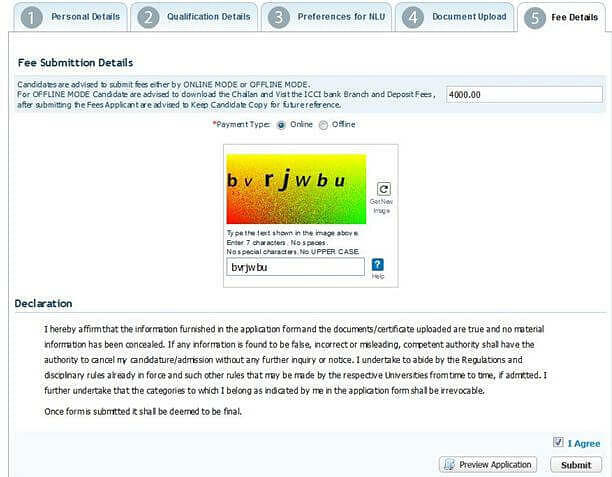 Fill CLAT Application Form – Candidates will be issued a User ID and Password at the time of CAPS registration. Using these credentials, apply online by logging the LOGIN account. Next, click on ‘Already Registered’ tab and start filling in the application form. Payment of CLAT 2018 Application Fee – After filling CLAT Application form, pay the application fee. The payment can be done via online (Debit/Credit or Net Banking) or offline (Bank Challan) mode. Download and Print Application Form – Post successful payment of application fee, candidate can then download CLAT Form in PDF form. Check & Download the CLAT result and score card. Through CAPS website, a partially filled CLAT form can be saved. Also, resume the whole process by logging in again. It is advised that one should not submit the application until it is filled completely. Incomplete applications will be rejected. How to Register through CAPS? The system will generate a CAPS Registration ID and a CAPS password, through this credentials one can login to this interface. Candidates must keep these details safe and must not disclose it to anyone. Candidates must login periodically to see the status of their CLAT form. 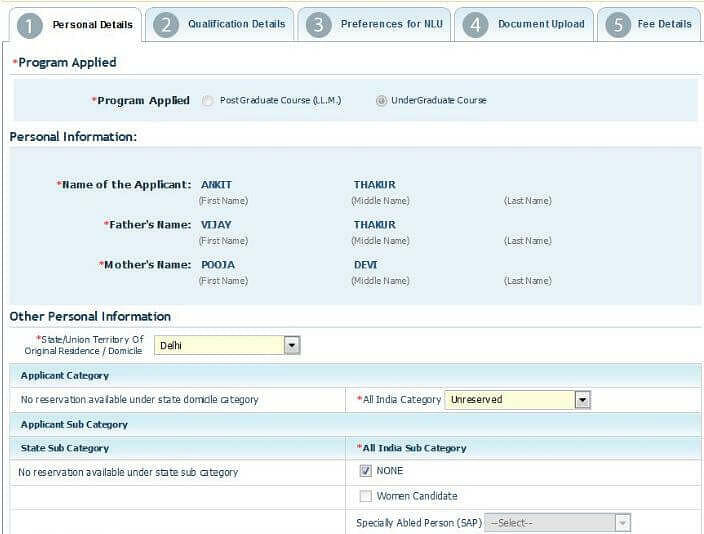 There are few documents and information required before registering for CLAT and logging into CAPS. It is important to keep oneself prepared to avoid any delays in the whole process. Front facing Passport size clear photograph of candidate with clear lenses (3.5 cms x 4.5 cms) [JPG Format, size not more than 100 KB]. Category certificate like E.B.C., B.C., W.B.C., D.F.F., S.E.B.C., Ancestral residents of village Sidhuwal, District Patiala; Son/Daughter of Defense Personnel Deployed in U.P. or Defense Personnel of U.P. either retired or killed/disabled in action; Dependents of Freedom Fighter of U.P. and Kashmiri Migrant etc. How to Register for CLAT 2018? Candidates interested in giving CLAT Exam will have to register on the CAPS website. 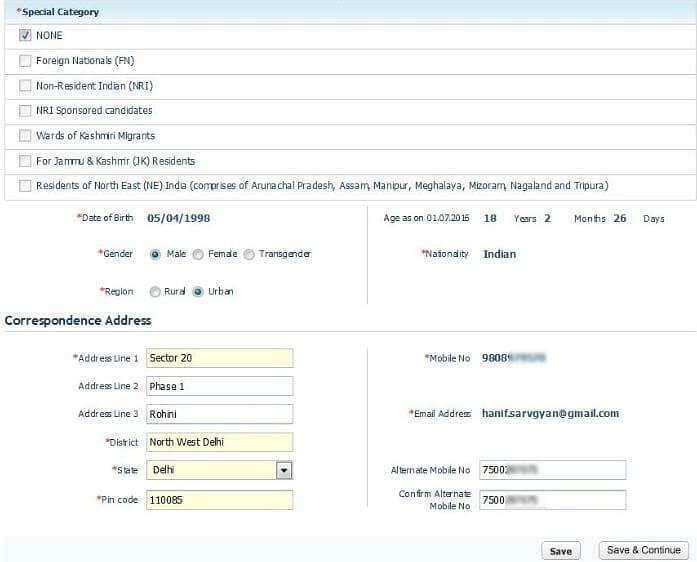 They have to fill required information- his/her name, father’s name, mother’s name, guardian’s name, date of birth, a valid E-mail address, a working mobile number and a password. For the law entrance exam registration, open the CLAT website and click on the apply link. As you click on apply button a new window will open. In that window click on “Register yourself” button. Now enter the following details as mentioned in the image to complete the registration. After successful registration, User ID and password will be sent to the registered email id and mobile number. Note:Candidate’s Name, DOB, Father’s Name, Mother’s Name and Email ID, and Mobile number cannot be changed at any later stage. Therefore, a candidate should carefully enter their details and verify before submitting the same. After receiving User ID and password, candidates can apply online by logging through these credentials. Now, open CLAT website, click on apply online tab. After that, click on “Already Registered” button. Now click on the tab ‘Application Form’. Note: Candidates are required to convert grade /CGPA (if any) into percentage. In this step, you have to upload your scanned copy of photo, signature and DOB certificate. Scanned copies of SC/ST and/or SAP certificates/ state domicile (in PDF format), Scribe Declaration form in case of SAP candidates are also to be uploaded, if applicable. And also enter the 3city for CLAT Exam Center. After uploading each file successfully click on save and continue button. After completing the above section, you can now proceed to make the application fee payment. The details of the application fee are given below. CLAT application fee can be paid via two mode either online mode (Debit/ Credit card/ net banking) or offline (e-challan). The fee varies for all the categories and the fee is non- refundable too. For SC/ ST category the fee is Rs. 3,500/- whereas, for Unreserved/SAP/OBC/ any other category, Rs. 4000/- is the fee. 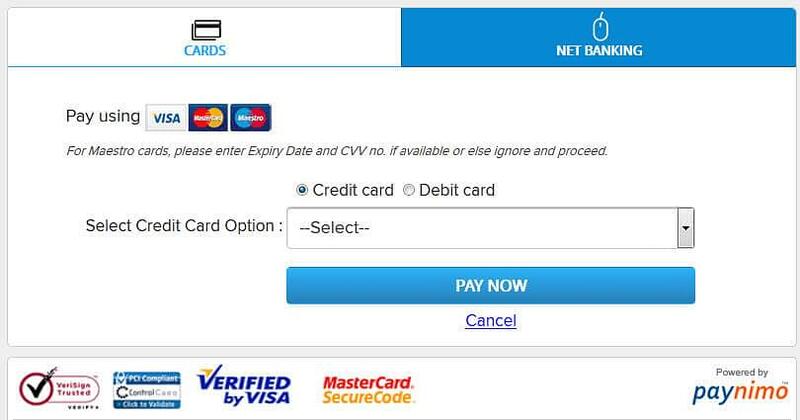 If you select online mode to pay the application fee using Debit/ Credit card/ net banking account. Charges may vary depending upon the payment option. If you select offline mode to pay the application fee through e-challan then e-challan will be generated in PDF format. Go to any ICICI branch and pay the fee before March 28, 2018. The application fee amount and the bank charges for the challan option will be shown to candidate and he/she has to confirm that the payment is for CLAT 2018. Note: No changes can be made in the application form after it is submitted and the bank challan is generated by the system. Candidate must ensure that the formalities for offline payment are completed before the due date. You can preview your filled application form by clicking on ‘Preview Application’ button and then check ‘I Agree’ box below the Declaration before clicking on ‘Submit’ button. Once candidate submits the application form, no further changes can be made to the application. After CAPS acknowledges the successful payment of the CLAT application fee through Online/offline, a confirmation email will be sent to your registered email id. Candidate can download the complete filled application form or confirmations acknowledge slip in PDF format. It can be downloaded by clicking on “Click here to take print out of confirmation page”. The filled application form will contain the fee details also. Candidates should keep this application form for their personal records and any other further communication. There is no need to send the print out the application form to the CLAT office. On the submission of CLAT form, a message will appear on the computer screen that candidate has successfully completed the CLAT 2018 registration. Note: Candidates try to avoid taking the photographs of the signatures using mobile phone or digital cameras. Note: The candidates will have to bear the bank transaction charges for remitting the fee online/ offline. Due to the following any one of the reason, your CLAT form will be rejected. How to recover CLAT Form Password? After doing the all above steps, you will receive a mail containing your password. 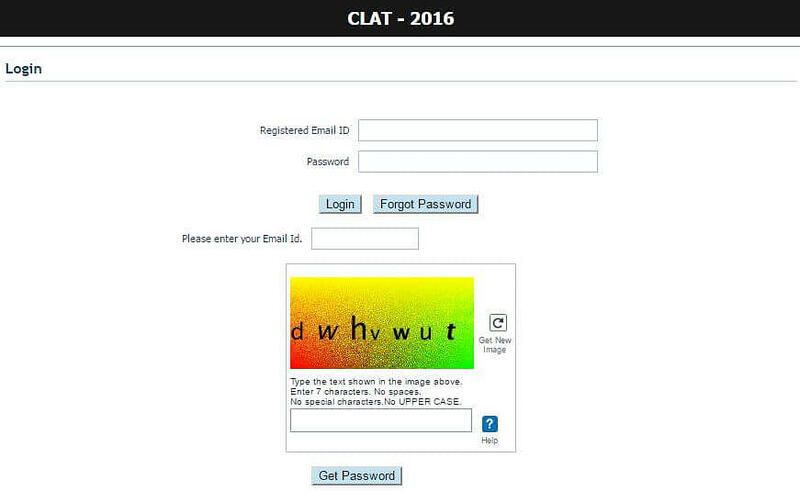 Use this password for logging to the CLAT 2018 website. Applicants who claim to be in any of the category SC/ST have to submit a valid document issued by competent authority, to qualify for the reduced fee. For SAP candidates with any category of disability (viz., blindness or low vision, hearing impairment, locomotor disability, and/or cerebral palsy), benefit will be given to only those who have at least 40% permanent physical impairment with respect to a body part/system/extremity/whole body, etc. A declaration from the scribe (if brought by candidate) that the scribe complies with the preconditions and he/she will not in any way help the candidate answer any question in the paper, apart from his/her regular duty of reading out the questions and marking/clicking the correct answers. Candidates are advised to check that they fulfill eligibility conditions, requisite marks, requisite grades etc. Please Note: CLAT Syllabus, Selection & Eligibility given above is as per the last CLAT 2016 notifications. The above will be revised in line with CLAT 2017 notifications (once announced).